A system or software that helps manage trade spend. This is the focus of today’s article. 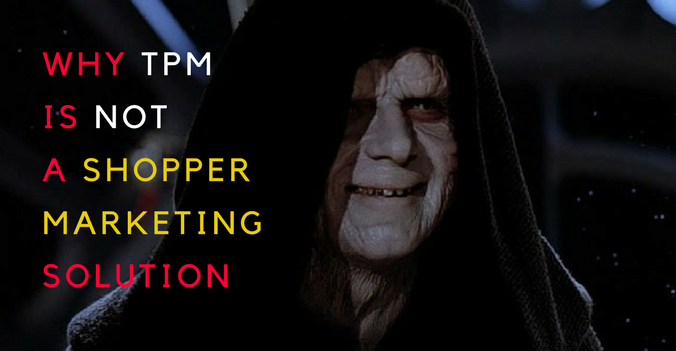 Shopper marketers’ familiarity with TPM is typically very superficial. Many have heard of TPM, they probably know their sales and trade marketing teams use TPM; on rare occasions, they are required to input their budgets or process deductions in TPM. But, in most cases, TPM is an elusive, mysterious “creature” that sounds sophisticated and promising to shopper marketers but never gets harnessed to really be useful in solving their pain points. I am guilty of daydreaming of the time when shopper marketing activities are planned in conjunction with Trade in one system, and as one cohesive process. I used to be jealous of my sales team who effortlessly pivoted their TPM data and quickly reported their plans to management. Being armed with only a bunch of messy spreadsheets, I felt unprepared and disorganized compared to them. So I kept wondering why the TPM systems never quite got adopted as a marketing planning solution. After starting Shopperations and talking with dozens of shopper marketers, trade promotion managers, and providers of TPM systems, it all became clear: marketing planning and trade spend planning are very different, to a point where a system built for one purpose can hardly accommodate the other. Here is why. Trade promotion managers have just a couple of key levers to pull: Feature, Display, F&D or Temporary Price Reduction (TPR). Marketers, on the other hand, have several major spend types, such as media, coupon redemption and non-working dollars. Each of these types has a myriad of sub-types, or tactics, than must be further broken down and documented granularly for proper financial reporting. For instance, media can be bought on TV, radio, in print, digitally and in-store. Some shopper marketing tactics have shopper incentives, such as digital or print coupons, others - don’t. The tactic proliferation is becoming even more of an issue as new ways to reach shoppers, such as voice activated smart speakers or augmented reality apps, seem to pop up every day. Keeping track of all of these scenarios in a TPM system is literally impossible. While TPM systems are concerned with managing customer trade allowances and processing deductions, shopper marketers deal with a myriad of third-party vendors. The way that the shopper marketing media is bought and delivered is all over the place. 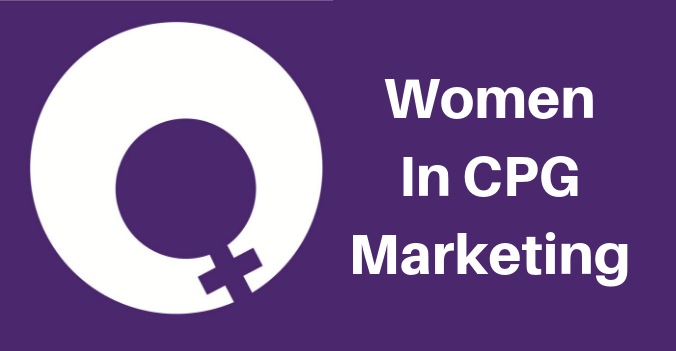 We see marketers buy media direct from the vendors, through their shopper marketing Agency of Record, via a specialized media agency, or via a retail partner as part of a co-marketing program. It’s not just that there are a lot of third-party vendors that shopper marketers have to manage, their number grows every year. An average shopper marketing team deals with more than 50 vendors each year, and this number keeps going up. Some vendors bill via a PO process, others magically bypass it. Some send invoices for each program, others bill monthly. Managing shopper marketing vendors and their bills is a beast, and can be a full time job in itself. 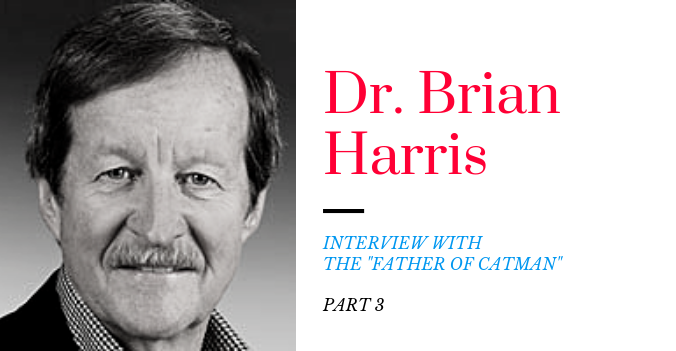 No TPM system is adequately prepared for this vendor complexity, and why should they? They weren’t built for that. Shopper marketers often plan full year of activities to enable strategic sell-in process. This means that TPM cost centers must be open and available for them before the fiscal year starts. Advanced planning is also important because vendor deadlines for some traditional tactics like TV, print, and in-store media are quite long. For instance, to buy in-store shelf banners or coupon machines, you need to place orders months in advance. When it comes to reconciling and actualizing spend, trade and shopper marketing also behave quite differently. TPM systems accommodate well for off-invoice allowances and scan-down accruals that come in pretty quickly, but that’s not how Shopper Marketing works. Many shopper marketing programs, tactics and coupon offers span more than one period, or even multiple quarters, making it extremely hard to predict and close every month. Forcing down TPM process on Shopper Marketing would cause too much user churn. The purpose of a TPM system is to manage trade budgets in an agile and efficient way. Therefore, any unspent funds are typically swiped in the end of the period or each quarter to strategically re-invest or drop into bottom line. TPM discipline and regular reconciliation are key to a successful TPM execution. This sort of “use it or lose it” mentality is simply impractical, even dangerous for the shopper marketing function. Shopper marketers need the ability to shift funds between periods and quarters to uphold JBP and other partner commitments, continue to invest in equity-building initiatives despite the ever-changing retail calendars. Marketing as a discipline is a series of experiments, they must be able to adjust based on results, learnings and market place situation. Things change, ebb & flow, opportunities to move things between periods and quarters are abundant. Not being able to make program and budget adjustments on the fly throughout the year, or being forced to give up unspent dollars each period will be akin to tying your marketers’ hands behind their backs. That you had Mother’s Day Demos on May 11th through 12th? How important is it for you to document the digital coupon “live dates” and the expiration dates for your coupon offers? 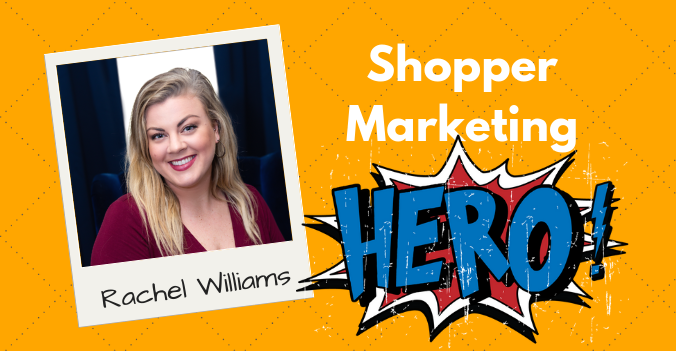 How important is it for your team to be able to create a detailed shopper marketing calendar? 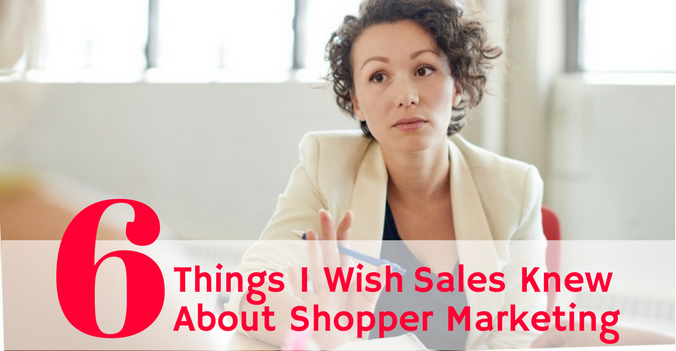 If you say it’s important, then TPM is not a solution for your shopper marketing team. Even if they are using TPM to report and plan today, they are missing out on a lot of important details and are likely using multiple shadow spreadsheet systems to capture them. So, if TPM is not the answer, what alternatives exist to help shopper marketers get organized, more productive and more accountable? How can shopper marketing and Sales teams get aligned and plan collaboratively if TPM is off limits for shopper marketers? Educate your internal stakeholders about unique challenges and complexities Shopper Marketers face. Be able to articulate why status quo, be it Excel or TPM, is not the answer for shopper marketing planning. Here is a link to a recent case study by Conagra Brands that paints a great picture of complexities they faced. Demand your own planning system. 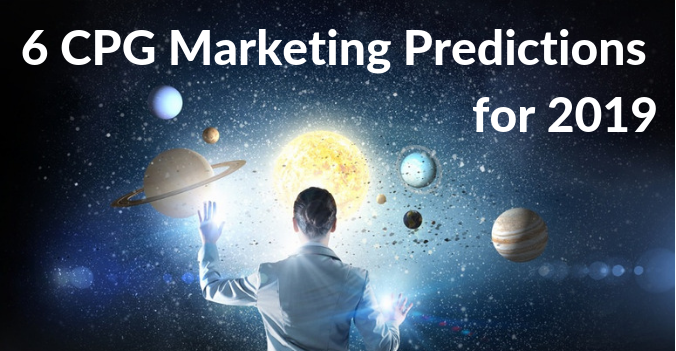 Marketing is still the last frontier of automation in CPG enterprise. While Sales, HR, Finance and Supply Chain have systems in place, marketers, for whatever reason, are asked to get by with Excel. Become a squeaky wheel. Resist the pushback that some day, some magic system will make you and your team happy. These sort of “ocean boiling” initiatives never work out. One shopper marketer we spoke with recently said that they invested in Salesforce, and now every request for a new tool starts with “we have to use Salesforce for that”, even if Salesforce was never designed to do it. Don’t delegate requirements gathering. 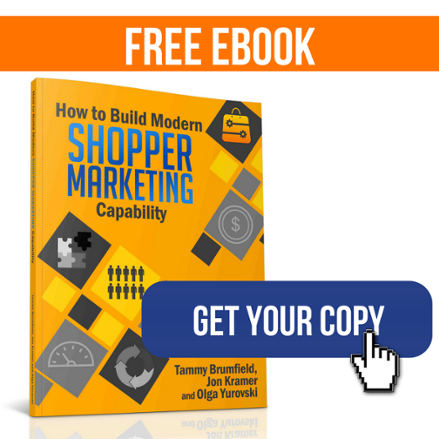 If you get approved to buy or build a shopper marketing solution, make sure that your team at all levels is involved in gathering the system requirements. The two most important players in this process are: a) future end users, rank and file shopper marketers who will help make sure the system is user friendly and intuitive and b) middle management who will help ensure the system provides answers to critical business questions and facilitates reporting and decision making. Pick a savvy vendor. Make sure that the software vendor you work with has a good knowledge of your domain, otherwise, you will delay the system launch by months due to misunderstandings and rework. 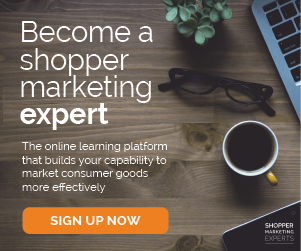 That’s one reason you should consider Shopperations, it was built by shopper marketers with you in mind, requires no IT support and constantly innovates by adding new useful features. Integrate your Shopper Marketing solution into TPM. The promise of wholistic Trade and Shopper Marketing management is too alluring, and as a Shopper Marketing leader, you should not give up on this ambitious vision. However, rather than forcing the TPM systems on shopper marketers, the wholistic planning can be achieved through system integrations. Once the shopper marketing planning system is deployed and your team masters the learning curve, begin conversations with IT on how TPM and shopper marketing systems can cross-pollinate data to create layered calendars or enable fully-loaded cost post-event analytics. Understanding systems and the technical aspects of shopper marketing operations is an important skill set for a future-proof shopper marketer. If you have not yet had a chance to dive into your company’s technology stack and existing solutions and need guidance for how to make a case for change, we can help you in this journey.